Common Core Money: Financial Literacy & Success Inspiration: Kid's Bed Or Adult Bed for Your Child? 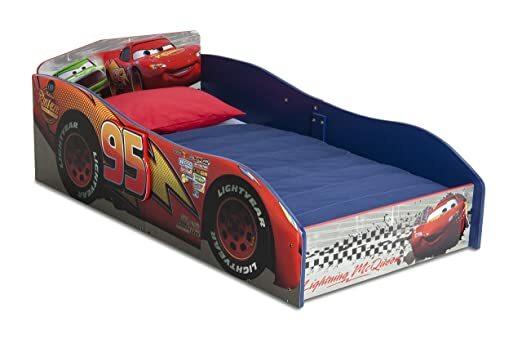 Kid's Bed Or Adult Bed for Your Child? If you have children, you don't need reminding how fast they grow. One day, they are babies, completely helpless, and you're in control. You turn around, and they've learned to walk and talk; And THEY are in control. You just pretend to know what you're doing. Making financial choices for kids is not easy. When it involves the use of their money (earned from doing chores or an allowance) you want to give them some room to make both good and bad choices, i.e., mistakes. This way they can learn concepts like saving, delayed gratification, impulse buys, not having any money left over for other things, giving, and so on. But then there are decisions that must be made with you having the final say. These decisions, like getting a new bed for your toddler, can allow for some input from your kid, but the price tag and your budget should ultimately determine what you buy. It's dangerous to buy kids exactly what they want all the time, under the guise of, "it's what is needed anyway." You do this often and you'll only be helping to develop a spoiled child. Example, they need clothes. They don't need Gucci or Louis Vitton clothing! 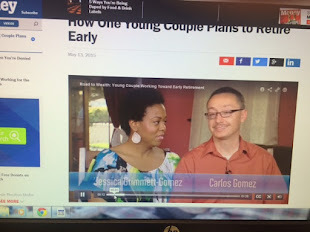 At Casa Gomez, both of our children are in need of a new bed. My daughter is tall for her age. She's almost six, but she's as tall as some third graders. She's been sleeping in what used to be a crib. We converted it to a bed with a single rail at the front that opens half way up. 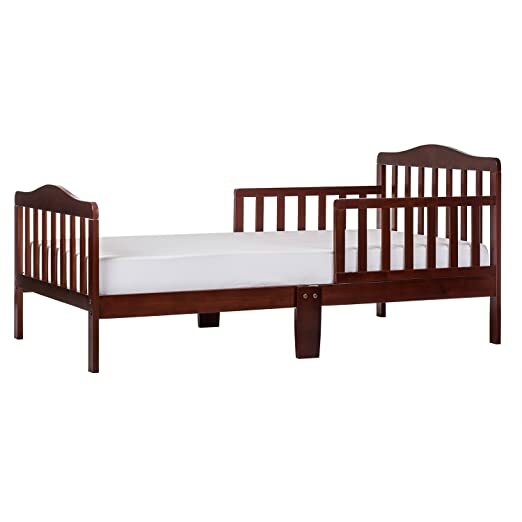 So, we are saving money right now as we didn't have to sell her used crib in order to finance the purchase of a toddler bed. My son is still in his crib. He's four, and still has at least a foot before he reaches the end of the crib with his tiny feet. I can convert his crib just like I did his sister's, and we can postpone buying a bed for him for several more months. This one will run you only $109 with the mattress included. And it sure looks long so you probably can simply take the rails off when your child is old enough. But...how much weight can it support? Those legs look flimsy. Your child will after all not only grow taller, but denser as well. So we're back to thinking if it's worth it. 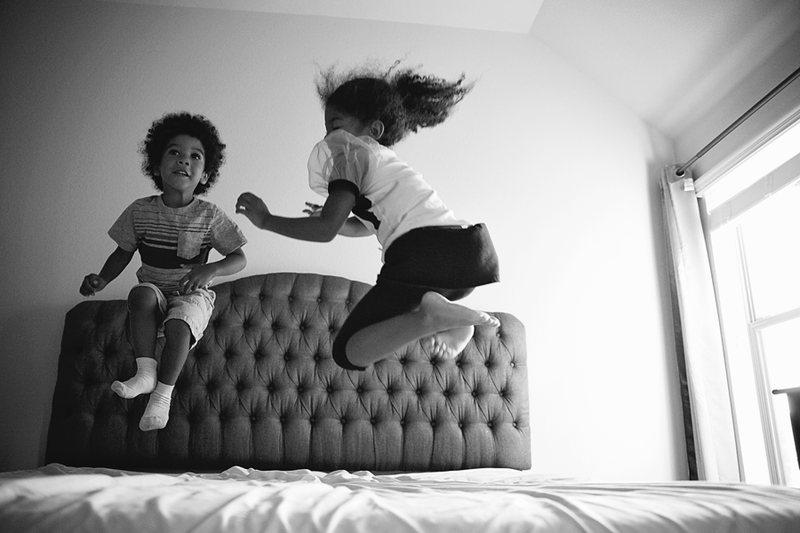 1) Your kid can jump on his/her bed and burn energy until their heart is content. Every day! They won't break their frame since there isn't one. 2) They can sleep in the middle of their full-size mattress and have room to travel all about their bed during the night. And if they travel too far toward the edge and should fall off the mattress, well...it's under a 2-foot fall. Certainly not enough to hurt them. They may not even wake up if your floors are carpeted! 3) No Boogeyman under the bed! Most beds with traditional frames have dead space underneath them. The Boogeyman lives there! You should know, you were a child before. So by placing the box spring and mattress directly on the floor, the Boogeyman will have to go find another place to live. When it comes to your home and your family, you don't have to follow anyone's standards. That's what I've learned thus far as a father of toddlers. Your kids need a roof over their head, clothing, and to be fed. That is it. They don't need a luxury bed, and doing what's best for your financial situation is better than trying to keep a traditional look to a kid's bedroom. I understand that a decent mattress will cost you more upfront, but if your child doesn't wet the bed anymore, that mattress can last for many years. You'll save in the long run. Thanks for reading! Until next time. If you liked this post and want to get more like them in your inbox, please subscribe.